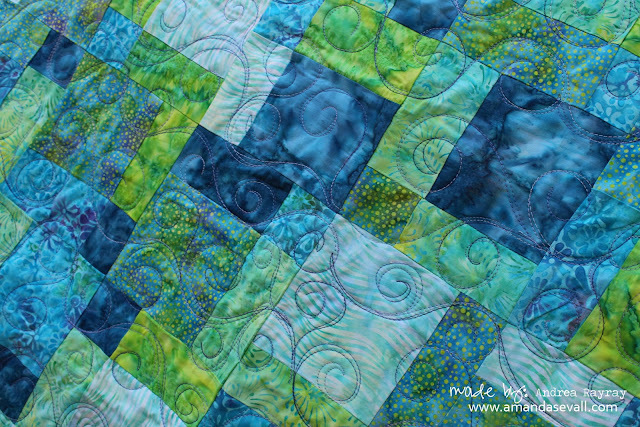 Look what came back from being quilted! 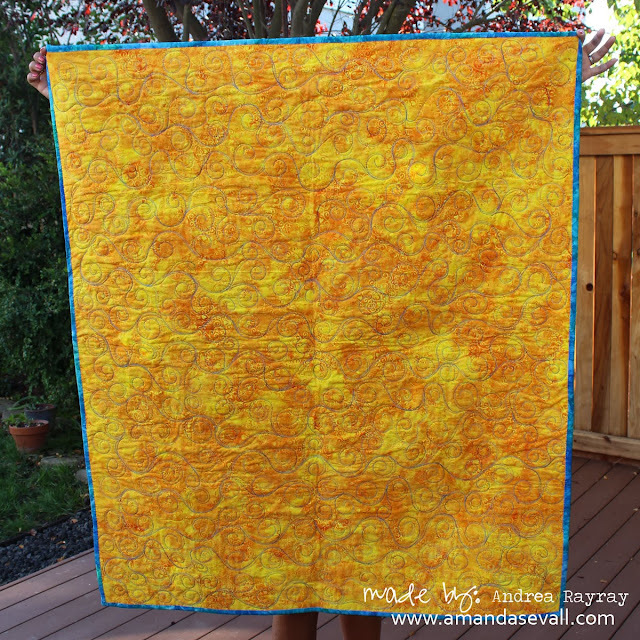 I originally shared Andrea's quilt top back in May. 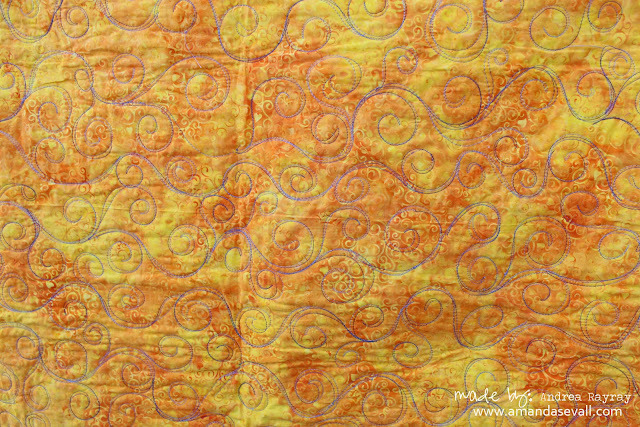 Drea picked a wave pattern for the quilting and a gorgeous yellow batik as the backing fabric. And I'm even more obsessed with it! 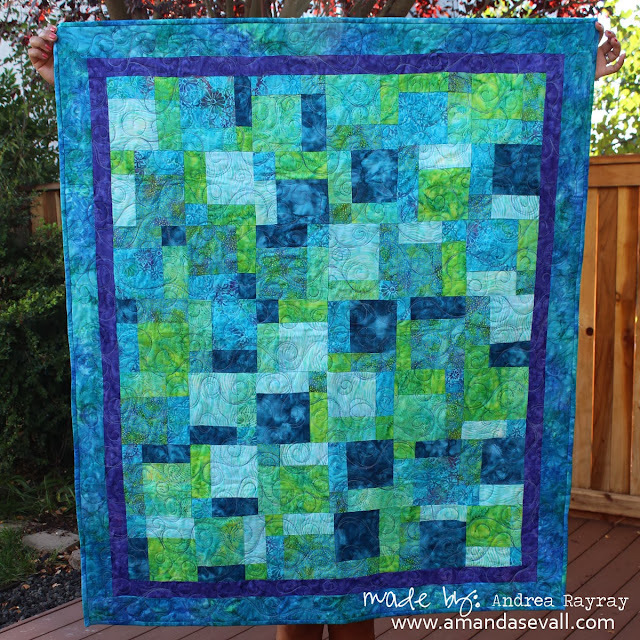 Didn't she do a beautiful job on this quilt?! Wow! This is so pretty! 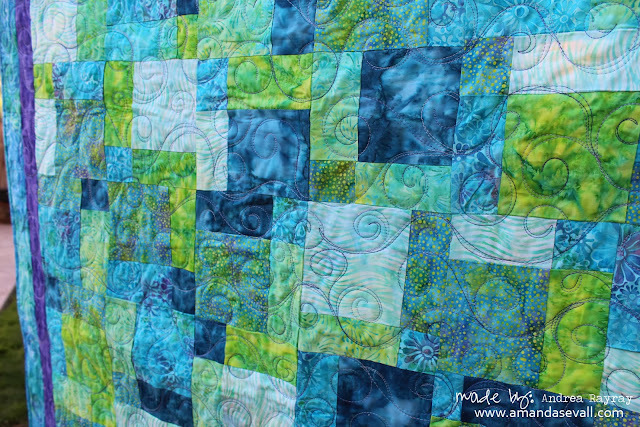 I love the colors and the quilting is fabulous.